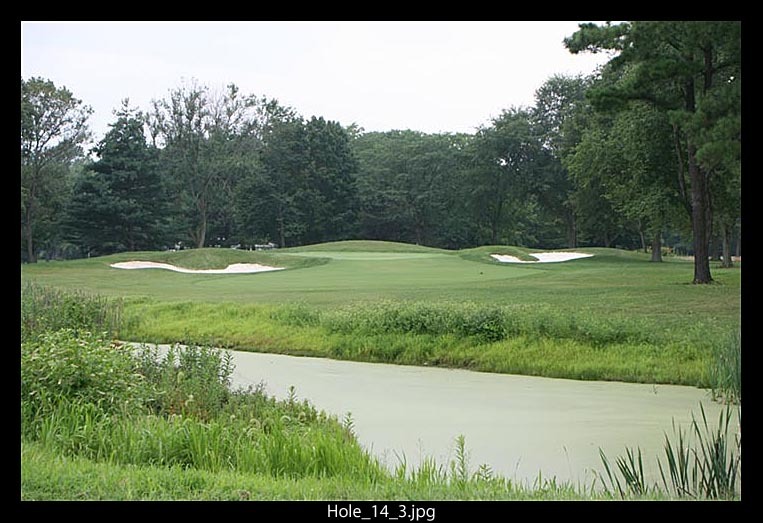 Your round at Garrisons Lake begins with a Par 5 guarded by out of bounds on the left hand side. A solidly struck drive will give some players the opportunity to get home in two, with the rest laying up short of the left fairway bunker. This is one of the longest par 4’s at Garrisons Lake. A drive down the right hand side of the fairway, avoiding the trees on the left, provides the best angle for the approach. This is the shortest of the par 3’s at Garrisons, but don’t take this hole for granted. Bunkers protect the front, right and back of this green. A shot to the middle of the green will provide a good look at birdie! A long to mid-iron is all that is needed for your tee shot on the short dogleg right par 4. Distance control is important on your second shot since this green has two tiers and is protected by bunkers at the front and left of the green. This slight dogleg right requires a tee shot down the left side of this fairway to avoid being blocked out by the trees on the right side. The second of the par 5’s on the outward nine provides a great opportunity for a birdie. Avoid the bunker on the left of the fairway and you can have a go at this green in two. This dogleg right par 4 requires some thought on the tee. A driver down the right side can leave you with a shorter approach, but hit a little left can run through the fairway making the second shot extremely difficult. A 3-wood or hybrid down the middle of the fairway will leave a longer approach but will take a lot of the trouble out of play. Bunkers short of the green and right of the green protect this green. This green slopes from back to front so be careful if you get above the hole. This par 4 will end your outward nine. A tee shot short of the fairway bunker on the left will give you the best angle for your approach. Your inward nine begins with a dogleg right par 4. Pick the right club off the tee so that you avoid driving it through the fairway and being blocked out by the trees. Another spectacular par 3 at Garrisons Lake. This mid-iron approach should be aimed at the middle of this green to avoid the bunker short and right. Make par on this hole and smile the entire way to the 12th tee. This par 5 requires a tee shot down the right side of the fairway, avoiding the trees and water hazard on the left. A long drive will give some the opportunity to go for the green, but the majority will lay up down the left side of the fairway to open up this well guarded green. This long and straight par 4 requires both distance and accuracy. A tee shot finding the fairway is left with a mid to long iron approach shot. The last of the par 3’s at Garrisons Lake provides the biggest challenge. 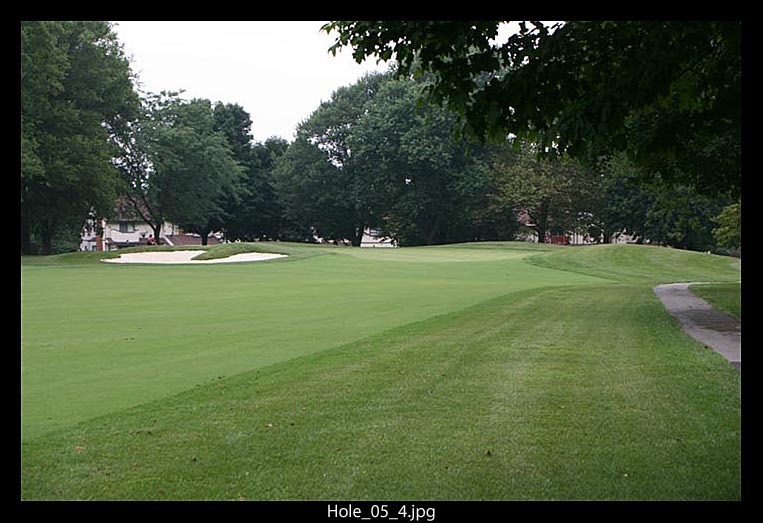 This undulating green is protected by two deep bunkers that collect balls short and right of this green. This slight dogleg right provides a great opportunity for birdie. 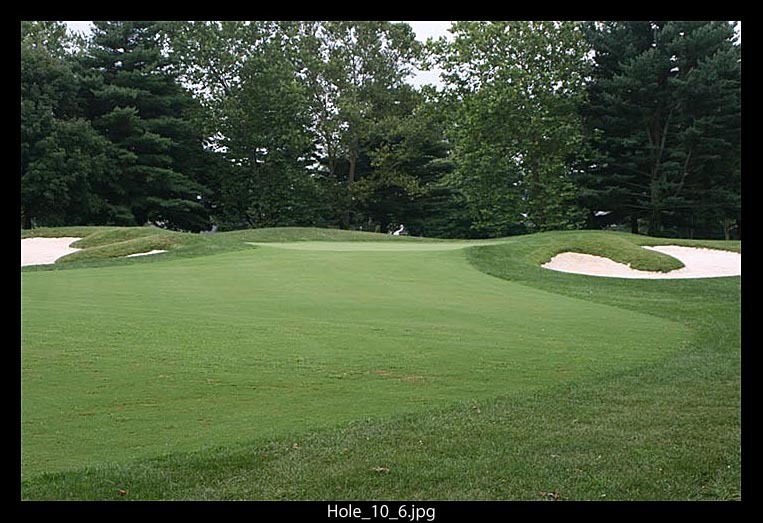 A well struck drive will leave you a short iron to this green which slopes from front to back. Be careful with a putt from above the hole! A driver or 3-wood on this par 4 will leave you with a mid to short iron. Make sure you take enough club on your approach shot to avoid the bunker short of the green. The most challenging tee shot on the golf course awaits you on the last of the par 5’s at Garrisons Lake. You must avoid the trees on the right hand side of this fairway. Some think that they can carry the tree on the right, but most are unsuccessful. The finishing hole at Garrisons is a dogleg right par 4. 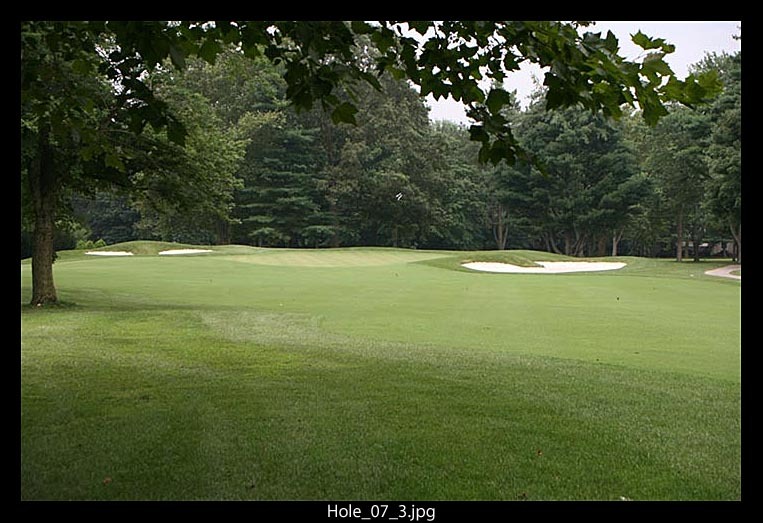 A drive that avoids the trees down the right side is left with a mid to short iron to the green.